I’m so excited about Fall Fashion this year! As a professional shopper you can imagine I see everything and want everything! So it is with great self control that I share with you 2 of my recent purchases as I LOVE them so much! Of course a new handbag! This one I fell head over stilettos with due to the amazing stud detail! My other love, seriously love these! J Brand photo ready skinny jeans! I’m always on the hunt for the perfect pair of denim that will make legs look long and lean. J Brand has granted my wish with its new Photo Ready denim collection. These ultra-slimming jeans lift and hold, giving the wearer a picture perfect silhouette! Banish any suspicions though: these aren’t jeggings. They are a unique blend of cotton, polyester and Lycra, the fabric stays true to its denim roots while still giving maximum stretch for comfort and freedom of movement. And thanks to its amazing recovery, you won’t get that sag in the rear(not an attractive look when an adult woman looks like she’s wearing a diaper! 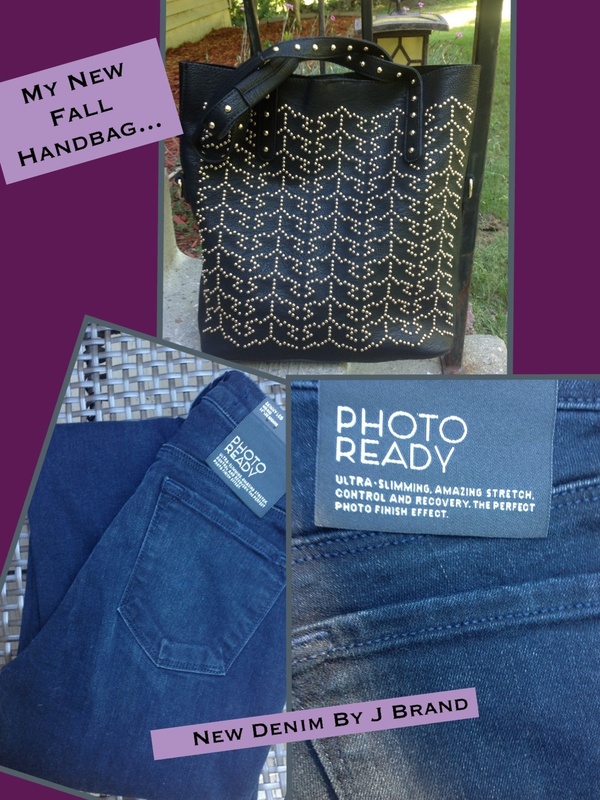 ).I’m loving mine in this seasons hottest color in denim, grey-black I highly recommend trying these they will have you looking good and feeling good! A Happy Rainy Labor Day To You!